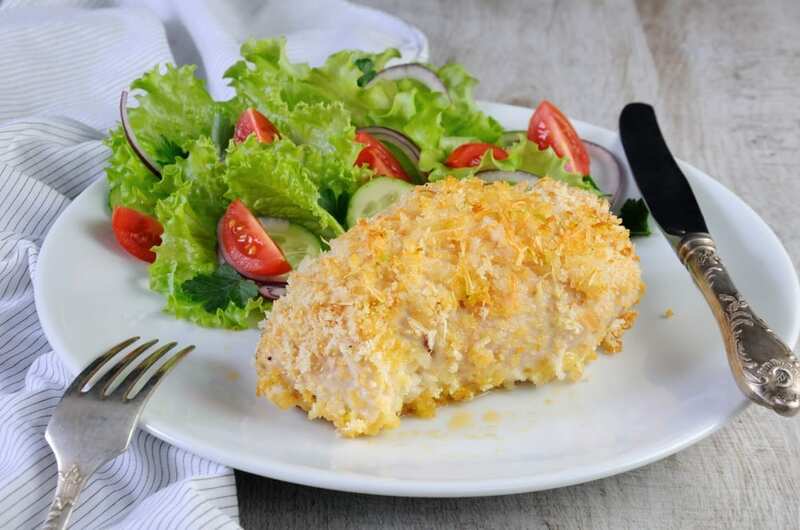 Six chicken breasts are tenderized and rolled around picante salsa, low fat cream cheese and fresh cilantro, and then tumbled in breadcrumbs. 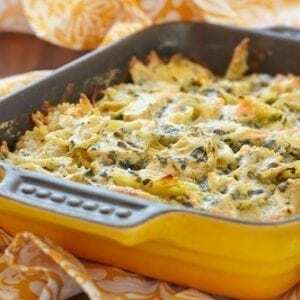 One of your favorite Dinner Factory meals, these are luscious and low fat, and bake easily and quickly in the oven. Serve alongside our Gourmet Mushroom Risotto! Included. 1. Thaw completely in refrigerator. 3. Bake uncovered for 40 – 50 minutes, until chicken is cooked through, check to make sure there is no pink in the center of chicken. For a browner and crispier crust, brush chicken with butter and place under the broiler for an additional minute or two. A colourful sunset just might taste this good! 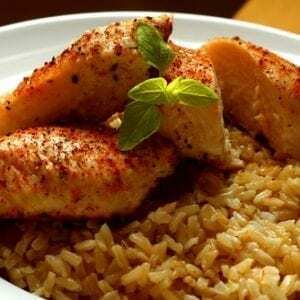 Boneless, skinless chicken breasts soak up a beautiful marinade of lemon juice, paprika, honey & spices. These cook quickly on your grill or broiler. We have paired this with our gourmet Mushroom Risotto to make a beautiful meal ready for guests! Add some Asian green peas or seasoned green beans (available from our freezer section) for a picturesque and perfect meal. 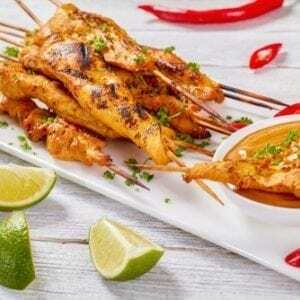 You can't go wrong with these skewers that everyone loves! Little pieces of chicken breast are marinated in a garlic marinade, baked and then dipped in a mixture of creamy peanut butter, garlic and soy sauce. Perfect for appetizers, or a fun family meals served over Jasmine or brown rice (provided). This is by far one of our most popular family dishes! It is always a great stand-by in the freezer and offers excellent protein for your athletes! A creamy spinach and cheese mixture is combined with noodles, topped with a rich tomato-meat sauce and sprinkled with Parmesan cheese. A hit with kids (really!) and grownups alike. Just add a simple salad for a healthy and easy meal. Naturally raised chicken breasts are marinated, broiled and then topped with a pesto of cilantro, walnuts, lemon, and garlic and then served along side a medley of stir fry veggies—bell peppers, mushrooms and zucchini (included). Fast and easy, this supper will be on the table before you know it!